The School Journal is at the heart of communication between parents and school. Each student must purchase the School Journal at the beginning of the school year. Students must be in possession of the School Journal at all times. The Journal must be placed on the student’s desk at the start of each class. The School Journal must be used for recording all homework. 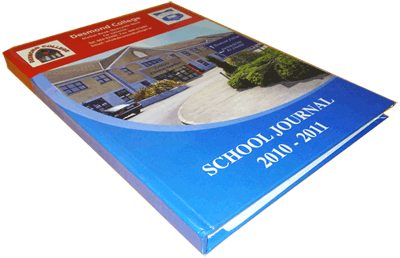 The School Journal is an important document and must be used for official school notices and all messages to / from parents and teachers. The School Journal must not be used for graffiti or inappropriate messages. Parents / Guardians are requested to sign the Journal each week. The School Journal may be inspected by any teacher at any time. It will be inspected regularly by Class Tutor. If a student mislays his / her Journal, he / she must report the loss to the Year Head. The student will then have to purchase a replacement Journal at the cost of €10.